In October 2015, a new Code of Practice for Victims was published, replacing one originally published in 2013. It sets out in some detail what victims of crime should expect from the criminal justice system. There are separate sections for adult and young victims. It also sets out the responsibilities the Code places on the key actors in the criminal justice system. It is relevant to all stage in the criminal justice process: investigation and pre-trial; the trial itself; and post-trial. • Make a complaint if you do not receive the information and services you are entitled to, and to receive a full response from the relevant service provider. To see the whole Code, go to https://www.gov.uk/government/publications/the-code-of-practice-for-victims-of-crimeThis also gives links to a leaflet about the code and a text of a note that is given to victims. The Queen’s Speech sets out each year the bare bones of the proposed legislative programme for the forthcoming 12 months. 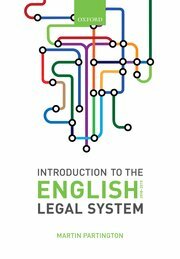 I’ve been looking through the detailed briefing to see whether there are issues which will affect the English Legal System (ELS) that may not be apparent from the speech itself. Introducing business rates appeals reform, including modifying the Valuation Tribunal powers to consider ratepayer appeals. right of appeal against the refusal of a human rights claim. We will now extend the “deport first, appeal later” principle to all cases, except where it will cause serious harm. In addition to the well publicised plans to devolve further legislative power to the Scottish Assembly Government, there are also proposals for a new Wales Bill and a Northern Ireland bill that will also contain detailed devolution measures. This contentious measure, designed to ensure that only English MPs vote on legislative measures that will only apply in England is to be introduced, not by legislation, but by changes to the Standing Orders of the House of Commons. To create a presumption that suspects will be released without bail unless it is necessary. The Bill would initially limit pre-charge bail to 28 days, with an extension of up to three months, authorised by a senior police officer. In exceptional circumstances, the police will have to apply to the courts for an extension beyond three months, to be approved by a magistrate. This will introduce judicial oversight of the pre-charge bail process for the first time, increasing accountability and scrutiny in a way that is manageable for the courts. Proposals on this are delayed. This will give UK citizens who live abroad a life time right to vote, rather than, as at present losing that right after 15 years. Proposals to merge the current Parliamentary Commissioner, local government ombudsmen and the Health Service Ombudsman will be considered in a draft Bill. Of course at this stage, most of the details are not available and they may well change during their various Parliamentary processes. But it is worth noting these issues so that you can keep an eye on them. Victim’s right to review a decision not to prosecute. • the right to a review should be made the subject of a clearer procedure and guidance with time limits. Following this judgement, the CPS created a new scheme – the Victim’s Right to Review Scheme – to give effect to the principles laid down in Killick and also to meet Article 10 of the European Union Directive establishing minimum standards on the rights, support, and protection of victims of crime. It was launched in June 2013. Data recently published by the CPS shows that between 5 June 2013 and 31 March 2014, the CPS made 113,952 decisions which could be subject to appeal under the VRR scheme. The CPS reviewed 1,186 cases; of these 162 decisions were overturned. The CPS also undertoook some work to see how the scheme was working in the light of experience. The outcome of this work is that a slightly revised, final, scheme of review was prepared and published in July 2014.